Another peek at songs from Dave’s new album! Along the Back Road Release! A Little Taste of Twenty Years Down! Twenty Years Down, another song from the upcoming Dave Kniep album Along the Back Road! The harmony masters at work here at Sleepy Studios! Laying Down Some Harmonies at Sleepy Studio! 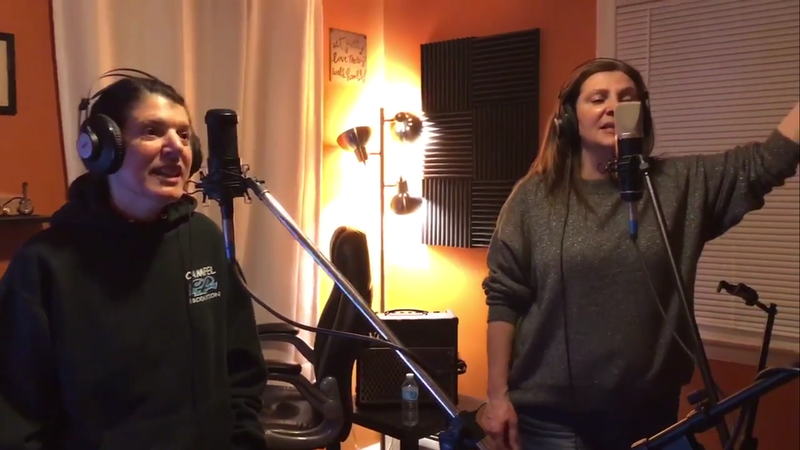 Had the harmony masters Laurie and Carol in the studio to put down some great backing vocals for the Dave Kniep project! These Old Boots You Tube Video! Check out this video for our latest release from These Old Boots! These Old Boots, latest release from Sleepy Studios! Check out this new song by These Old Boots on the Music page! Had the multi-talented JD Williams back in the studio to lay down fiddle on one of my own tunes this time!